The Medina: Meeting of people and place. A Medina, often refers to an ancient part of a village. In this project it congers-up images of market, village scale and the interaction between the local people and visitors. 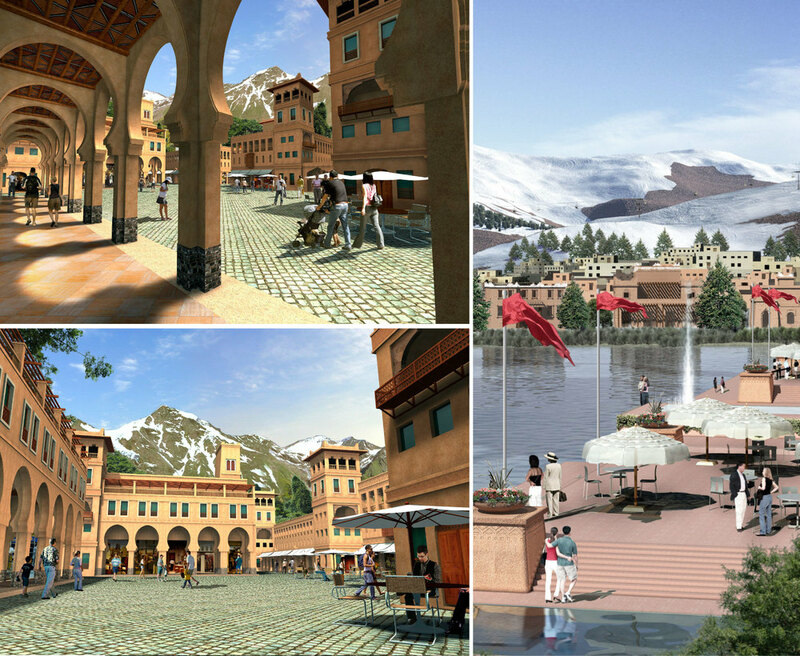 The Medina Village at Oukaimeden is a vibrant village center in the High Atlas Mountains with mixed use amenities similar to those found in many world class ski and golf based villages. Its unique features include strong character in urban form, spatial quality, and architecture of the Mountain Berber people and Morocco. 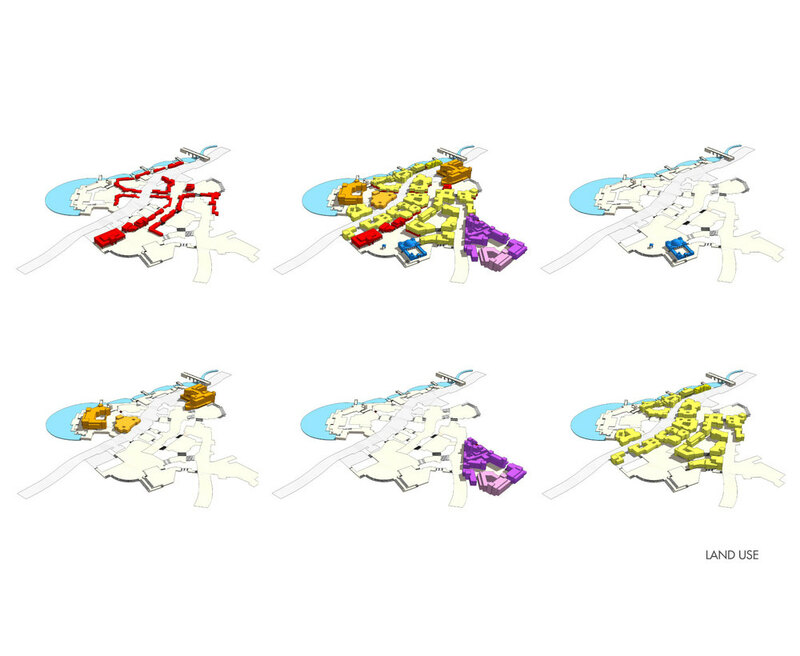 Special attention was given to the urban design principles of proximity of uses, as well as pedestrian scale movement and comfort within the village center. The central circulation system is primarily pedestrian with service access to the main vehicular traffic systems and access underground parking structures. The uses include the ski base lodge hotel, the medina hotel, conference hall, a cultural plaza and mosque, school, hotel / hospitality training facility, retail, restaurants, residential courtyard apartments, celebration events plaza, covered market (souk), and ski operation facilities including ski-lift. Natural features include a dramatic cascading river and a pond that collects mountain snow-melt. 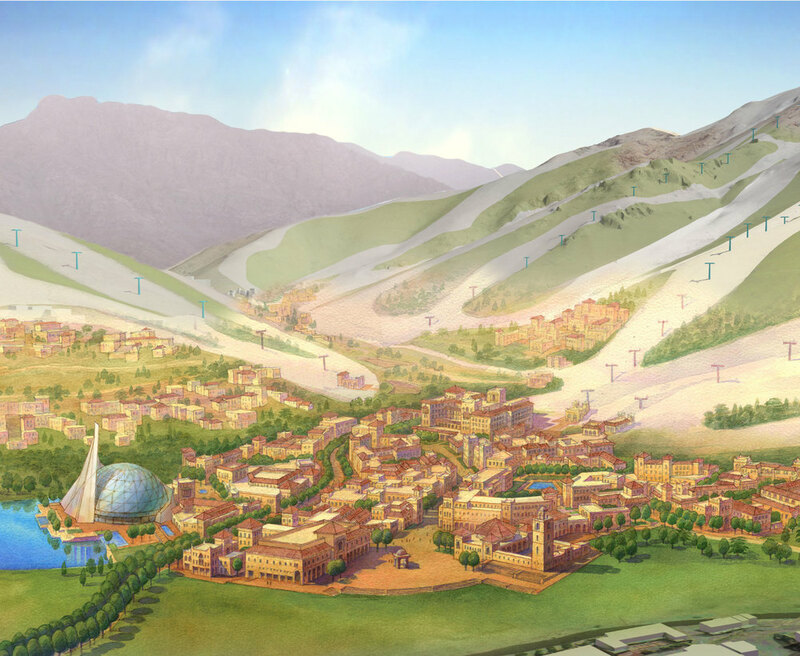 Located at the base of the primary ski runs on Jebel Oukaimeden, the Medina is envisioned as the physical heart of the development with the key features and the greatest variety of uses in the village core. The development structure is based on the flexibility to adapt to changing market demands while maintaining its character.